In our tech dominated world, carrying a computer that works for you is a necessity. Each year, new devices from major tech companies flood the markets, leaving customers dazed under a wash of metal and plastic. Which laptop is best for you? Do you need portability, power, or a touchscreen? This guide serves to wave this technological fog and provide a clean view of the market. Here we will not cover sales or used devices, but by spending a little time to hunt for them, keep in mind that you can cut prices by a substantial amount. These are our recommended computers for school, work, and entertainment. These laptops are super thin, light and portable while maintaining the power of their thicker brethren! These computers will handle web browsing, word processing and email like a charm, all without breaking the bank! These computers take the best features of tablets and of laptops and combine them in one device. They have touchscreens and are extremely portable. These computers offer more power, better quality, and more features, but they come higher prices. These computers will have noticeable increases in speed. 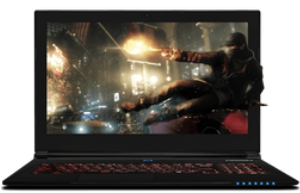 These laptops offer the best components and the best speeds for programs that require the most power. Play your games on-the-go, but your wallet may need time to recover. These computers are expensive, but offer the best quality components and materials. These computers will also be noticeably faster and will have more features than any others.